Despite a negative assessment by NASA, Pentagon said that it stood by Acting Defense Secretary Patrick Shanahan's assessment last week that debris from an Indian anti-satellite weapons test would eventually burn up in the atmosphere. The Pentagon on Thursday (April 4) stated that it stood by Acting Defense Secretary Patrick Shanahan's assessment last week that debris from an Indian anti-satellite weapons test would eventually burn up in the atmosphere, despite a subsequent, more negative assessment by National Aeronautics and Space Administration (NASA). Asked whether the Pentagon stood by Shanahan's earlier assessment, spokesman Charlie Summers said: "Yes", reported Reuters. However, Pentagon has earlier strongly denied the reports that the United States spied on India's anti-satellite or ASAT missile test by sending a reconnaissance aircraft from its base in Diego Garcia in the Indian Ocean to monitor the development. On Monday (April 1), NASA head Jim Bridenstine branded India's destruction of one of its satellites a "terrible thing". Bridenstine was addressing employees of NASA after India shot down a low-orbiting satellite in a weapon test to register itself to become an elite space superpower. The only three other members of space super league are the United States, Russia and China. India became the fourth country to join the club. Bridenstine said that India's ASAT test created 400 pieces of orbital debris and led to a new threat for astronauts aboard the International Space Station (ISS). Bridenstine continued to say that this type of risk to humans in space, and low Earth orbit operations, was just not acceptable. 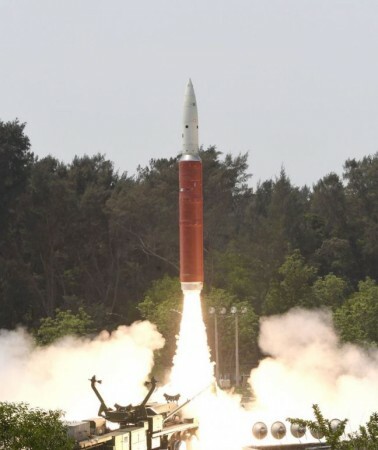 Prime Minister Narendra Modi had on Wednesday (March 27) announced that India successfully test-fired an anti-satellite missile by shooting down a live satellite, describing it as a rare achievement that puts the country in an exclusive club of elite space super-powers.